Snrky: And I suppose you want me to do it only using notepad. 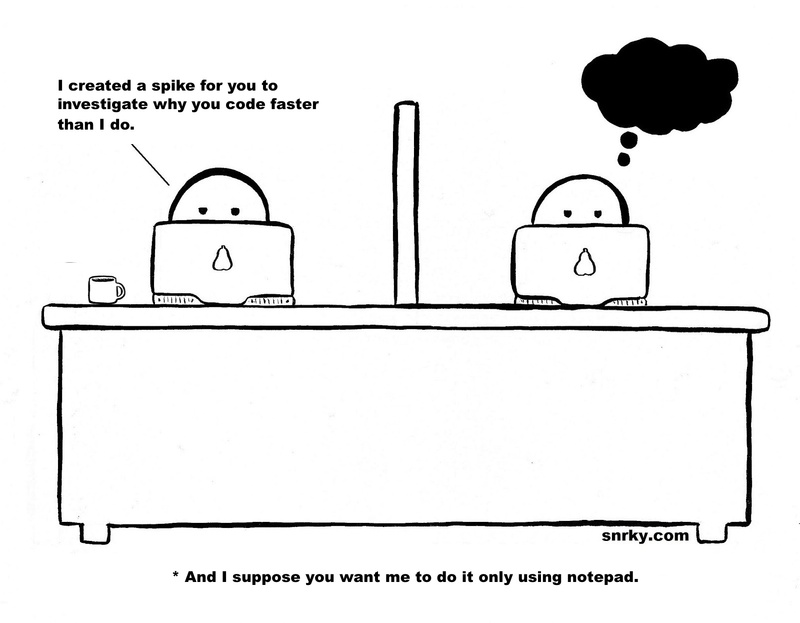 And I suppose you want me to do it only using notepad. I'll admit it -- when it comes to writing some kinds of code, I like being lazy. Sure the purists and old-schoolers out there may grumble about how spoiled we developers are these days, and how IDE's are hurting us, but what's the point?. I see no reason not to use the tools you have at your disposal to get things done more quickly. So maybe Intelli-sense and code templates are making us lazy. So what? It's not like we haven't heard that argument before. Title: And I suppose you want me to do it only using notepad. Snarky: I created a spike for you to investigate why you code faster than I do.